In the new music market apps becomes more ande more important tool for consumers to explore music. X5 creates apps in-house to market our music. 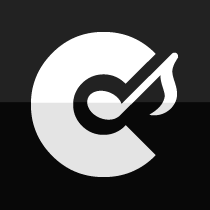 We create iOS, Android and Spotify apps, created to help the end consumer find good music. Below are some examples of apps created by X5 Music. Classical Music Quiz – LPO Ed. 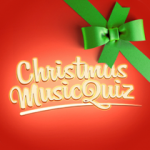 Test your skill and knowledge round the greatest pieces of classical music. Name the classical piece playing in the background, the faster you are the higher your score will be. Compare your score with friends or push yourself to do better next time. – 50 unique classical pieces as performed by London Philharmonic Orchestra. Choose between 10, 25 or 50 questions in one quiz. – Quiz-resume, you can now continue where you left off last time you played the game. – Separate leader-boards for each quiz length. – Orchestra wiki where you can learn more about the legendary London Philharmonic Orchestra. Test your skill and knowledge round the most famous christmas music classics. Name the song playing in the background before the time runs out, the faster you are the higher your score will be. Challange yourself or compare your score against friends. Choose between 10, 25 or 50 questions. – 50 unique christmas classics. – Quiz resume, contiue where you left off, after quitting the application. – Seperate leaderboards based on quiz length. – Browse through X5 Music Group’s Christmas albums in a “coverflow-like” experience. 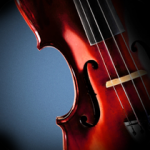 Test your skill and knowledge round the most essential pieces of classical music. Name the song playing in the background, the faster you are the higher score you will receive. Compare your score with friends or challange yourself to do better next time. 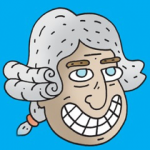 Extend your knowledge about the legendary classical composers with the webbased ”Composer Wiki” or find out where to buy the music used in the game. Features 100 unique classical pieces with up to 50 questions in one quiz. Let your children discover the exciting world of classical music in Young Music Genius : Classical Wiz. Learn to identify the instruments used in classical music or discover how the great masterpieces of classical music sounds. After learning about the music, test your your newly gained knowledge in the games section. Either play the instruments quiz or composer quiz, or if you want a real challange do the instruments memory which combines both sound and image to help you remember whats behind the cards. – 24 Instruments and 24 Composers to learn. – Instrument and Composer Quiz, in two diffrent difficulties. – Memory sound game, with either 12 or 24 cards. Find your inner master composer with X5 Music Group’s ”Face Your Master”. Complete the quiz to see which classical music master composer you’re most alike. 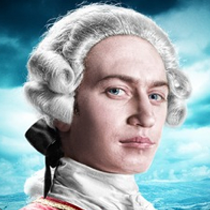 Ever wondered what you’d look like if you were a classical master composer? Find out by taking a picture of yourself and combine it with the composer your personality best resembles. – Use the questionnaire to find out which composer your personality best resembles. 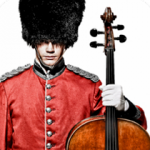 Use the ”Composer Booth” to see what you would look like as this composer. – Use the built-in camera or choose a photo from your photo library. – Share your ”composerized” image using email, Twitter and Facebook or save it to your local library. – Align your photo with the composer mask using multi touch gestures. – Get more information about the composers and around how to buy Rise of the Masters – the new digital classical music album series by X5 Music Group. Easy Access to the World of Classical Music. The Spotify app – Classify – helps you browse through the world of classical music. The perfect tool for the classical fan or the beginner.